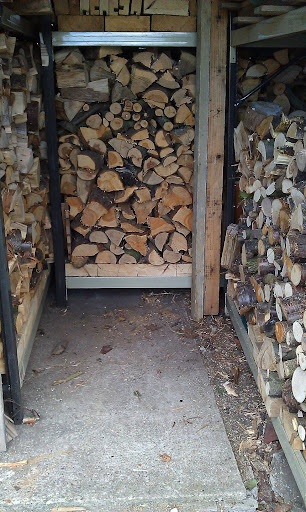 We’ve been busy over the past couple of months chopping and splitting wood to burn on our wood burner. I’m not sure if we’ve got enough for the whole winter but I think we’ll be ok for a bit. We’ve had our wood burning stove for 3 winters and since then it’s snowed each year. Last year we had a record 18″ of snow in early December and there’s nothing like sitting in front of a wood burning stove flicking and whilst it’s snowing outside. >Gosh – you have been busy! >Gosh, that looks amazing! Bet it'll last for a lot of the winter.